The future of a small business in today’s economy hinges on the image which is projected from your Online presence – A professional and mobile responsive website goes a long way in catapulting your small businesses into a higher return on your investment. 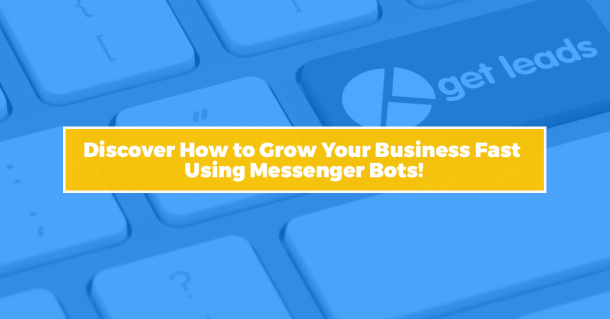 A verifiable online presence has become a necessity for every business – to lead your competition and to secure a dominant position within your industry and beyond. No matter the size of your business…It’s not only important to reflect your business strategy through your company’s website but, it is equally important to engage your potential customers and partners into conversation. Your website gives potential customers, employees, partners, and others a first impression about your company and its professionalism. 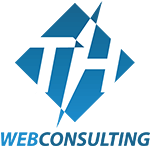 TH Web Consulting provides an affordable website design solution that makes it easier for your business to scale up as it grows. We understand the fact that budget is a constraint for small businesses and your Online presence plays an extremely important role in the success or failure of your business. We take a very professional and experienced approach in understanding the dynamics of your business and your business environment. Based on the above inputs and knowledge, TH Web Consulting designs customized web sites that fits your business. We perceive our clients as partners and work towards a long lasting business relationship throughout the growth process. Our website solutions offer the latest in web design & development and premium features to keep you on the cutting edge and constantly in contact with your target audience. All of our websites are Fluid, Responsive and Retina-Ready so you can count on your website looking SHARP and using 100% of the screen in All Device Sizes. We understand the value of your time and money. We work with you as technology partners so that you can focus on your core business strategies while we work at the back end to make your organization reach your targeted customers Online. We cover all aspects from registering your domain name to setting up your web hosting for you (unless you already have your own hosting). We understand the cost constraint of the small to medium sized business and provide a solution that gives your business the highest ROI for your money. SEO friendly web design gives you a big advantage over your competition. Note: Up to 80% of web designers have NO CLUE about optimizing a site. Search engine optimization and SEO consulting is just not their competency. The most successful web site design project is one that sets up a the Search Engine Marketing strategy first. Would you go into a business without a business plan? The same applies to web development and web design. Before you start creating a web site you need to identify its structure and make sure that it’s code is “Search Engine Friendly” (SEO Friendly) then Optimized to the market you are targeting. Since every project is different, we give special attention to targeted keywords and market research. In every case, we involve the current website, current rankings, the targeted keywords list, an analysis of the competition and other strategies that will give an objective analysis of the present situation. Once we have all this information, we start developing a website that caters to your specific needs and that is up to date with the latest SEO web design trends and search engine ranking algorithms so you can achieve your goals as quickly as possible. How does that translate to your business? Every existing ranking factor will be considered, starting with H-titles and ending with advanced structure, dynamic XML and HTML sitemap generators, so that your site attracts the attention of the search engine spiders which will crawl, index and rank your website. We are dedicated to customer service. We want to be the company that builds your entire online presence, not just your website. The development of successful websites requires experience and knowledge that cuts across artistic, technical and marketing disciplines. Professional website creation requires skills in graphic design, web development, website hosting, internet marketing and site maintenance & security – all performed in a professional development environment and a well structured web design process that leads to the fulfillment of your business goals. If your website will be a significant part of your business PLEASE DON’T SKIMP on the design and development. If you’d expect to pay $100,000 for a brick and mortar retail shop (inventory, interior design, furniture, rent, utilities, staff, equipment, insurance, etc) – then don’t balk at paying reasonable rates for the creation of your online business. So, for a custom small business website you can spend as little as $2,500 or as much as $20,000 or more. If you are interested in the web design and Internet marketing services we have to offer or simply have a question, let us know. We like to work directly with our clients and maintain a comfortable business relationship with each one.